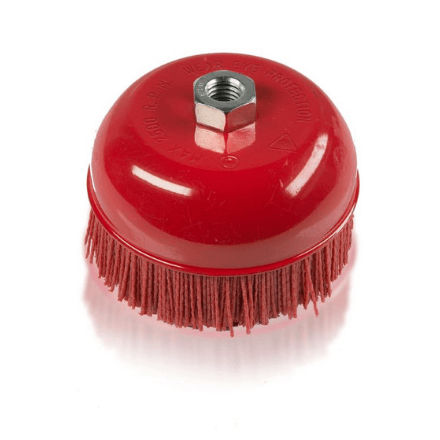 This cup brush is ideally suited for prepping a truck bed for increased adhesion of the spray-on liners. 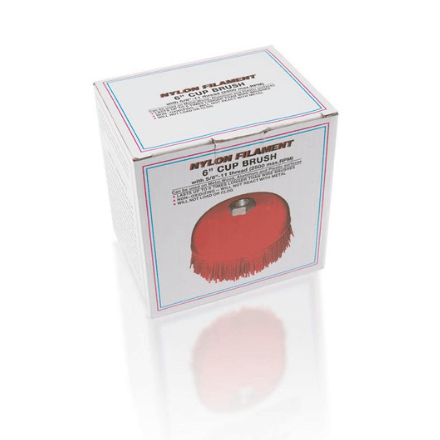 Prep up to 50 trucks with one cup brush and do a better job with less effort and in half of the time required for hand scufﬁng. 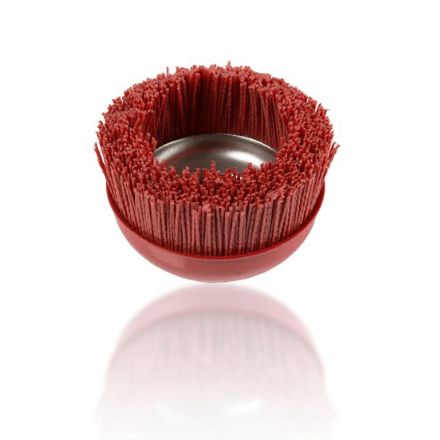 The nylon ﬁlaments of the cup brush are impregnated with silicon carbide and perform best at low speed (1000-2000 RPM) leaving an effective swirl pattern and less dust. 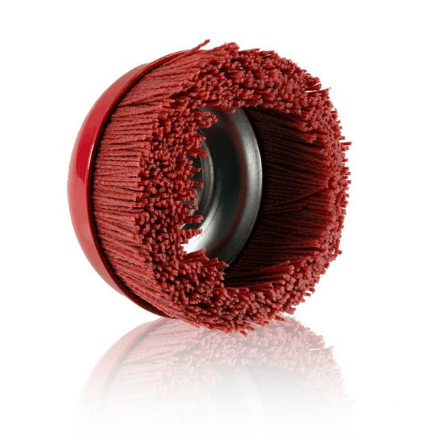 This cup brush will mount to our low-cost pneumatic polisher or to any standard, low-speed electric and pneumatic polishers with a 5/8-11 UNC spindle.